Kerrzy's Notebook: Around the Rinks: Let the NHL Postseason Begin! The NHL playoffs officially begin on Wednesday, but the lineups weren’t set without a bit of weekend drama! Fortunately for the NY Rangers and the Chicago Blackhawks it was a disappointing, anticlimactic type of drama! The Carolina Hurricanes and the Dallas Stars were both in the driver’s seat in terms of the final playoff spots in their respective conferences on the weekend, and both fell flat on their faces when push came to shove. Playing for their playoff lives, the NY Rangers beat the NJ Devils 5-2 on Saturday morning, a game I was sure the Devils would treat like game seven of the Stanley Cup Final. Later that night, the Tampa Bay Lightning jumped out to a 4-0 lead on the way to a 6-2 romp over the ‘Canes, ending their season. A similar showdown took place on Sunday, when a Blackhawks loss left the door to the postseason wide open for the Dallas Stars, but they fell 5-3 to the Minnesota Wild. At least Carolina was effectively knocked out of the picture by a playoff-bound team! Come on! The Red Wings have a tough first round ahead of them, especially if they’ll be playing without Henrik Zetterberg for a couple of games, so they’ll need as much of that as possible! In the Western Conference, we kick things off with a rematch that will be missing some of the key pieces when the Vancouver Canucks face the Blackhawks. The San Jose Sharks get a state rival for their first round tilt in the LA Kings, a team missing its top two scorers. The Wings and Coyotes meet again after a seven-game classic in the first round last year, won by Detroit. Finally, it’s Anaheim against Nashville in a series that, let’s be honest, could either be very entertaining or a bit dull. In the East, the Rangers will travel to Washington to face a suddenly defensive-minded Capitals team in the 1-vs-8 series. The Flyers and Sabres face off in a series that could easily provide us with our first big upset in my mind. For all the firepower that Philly has, I’m not convinced when it comes to their goaltending. This next one will be a classic (hopefully): The number three seeded Boston Bruins against the number six seeded Montreal Canadiens – who else has a feeling that this one could get pretty mean? Finally, we’ve got Pittsburgh taking on Tampa Bay, with the wildcard in this one being whether or not we will see Sidney Crosby. Of course, the big day for Edmonton Oilers fans is tomorrow when the NHL holds its Draft Lottery – will the Oil snag the first overall pick for a second straight year? If so, who should they think about selecting? For those of you saying Ryan Nugent-Hopkins, do the first two games of the WHL’s East semifinal have you second-guessing him as an impact player? His Red Deer Rebels were outscored 14-1 (at home) over that span and he is a minus-3! 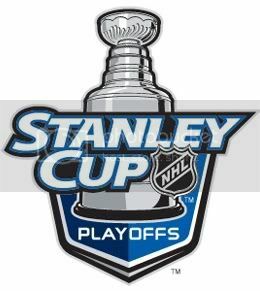 Check back tomorrow for some playoff previews!